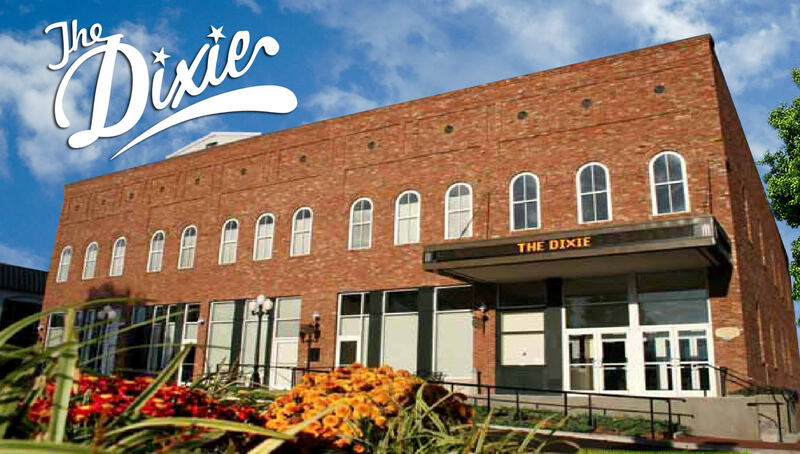 Constructed and opened in 2005, “The Dixie” brings arts to Huntingdon, Carroll County, and West Tennessee, providing opportunities to see some of the biggest names in entertainment right here in Huntingdon. Named for the renowned actress Dixie Carter, who was raised in Carroll County and attended school in Huntingdon, “The Dixie” is worthy of its namesake. In addition to bringing quality entertainment and offering local theatre options for area thespians, The Dixie provides enriching experiences for volunteers. The front of the Dixie Carter Performing Arts & Educational Enrichment Center building. Dixie Carter speaks with guests outside the theatre named for her husband, Hal Holbrook. As the Performing Arts Center unfolded, named for Carroll County resident and Huntingdon High School graduate Dixie Carter, her husband, Hal Holbrook, was an inspiration as well as a key player in the design and planning of the theatre portion of the Center. Because of his interest, dedication, and tireless attention to detail, it was with great respect and appreciation that the Huntingdon Arts Council chose to dedicate the theater in his honor and bestow upon it the name “Hal Holbrook Theater”. 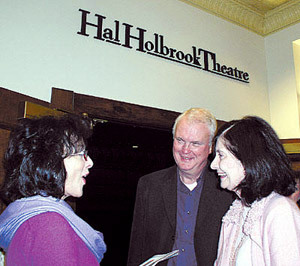 In September, 2005, Mayor Kelley proposed to Dixie and Hal Holbrook the naming of the theatre within the performing arts center in honor of Hal Holbrook. Both Dixie and Hal were visibly moved and graciously accepted. We were delighted to include this honor for Mr. Holbrook. Mudslingers Studio is designed to provide a distinctive visual art education program that will empower students to embrace a life of excellence and creativity through their artistic abilities and open doors to imagination and self-confidence. Visual art skills are worthwhile, valuable life skills grounded in discipline and a work ethic that is crucial for any craft. The instructor is a trained professional who provides a quality educational and artistic experience for each participant. 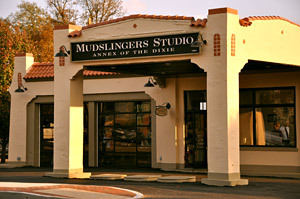 Experience is gained by weekly classes culminating in an exhibition held in the Mudslingers Studio.